MAY I tell you something about myself? My, it’s been a busy few days! Thanks to this final phase of the move, I’ve barely had time to breathe, much less blog. My family and I have been slowly making our way down the coast to our new hometown. We’ve finally arrived! Our furniture and household goods will be delivered tomorrow (yay! ), and then we get to unpack. I can’t wait to be settled and back into some semblance of a routine. We’ve had a great time traveling, but I am such a creature of habit. All of these transitions and the constant roaming about is starting to wear me out. Plus, doesn’t it just figure that when I’m feeling truly inspired to write (the people watching! the music! the landscapes! the alone time to think while driving! ), I don’t have the time to sit down and ACTUALLY WRITE? Such is life. It’s a YA story waiting, to happen, right? I adore Lady Antebellum, and ‘Dancin’ Away With My Heart’ is definitely a new favorite. 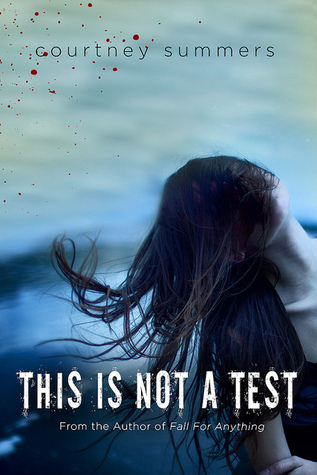 Admittedly, I haven’t had tons of reading time over the last week, but I have been leisurely working my way through This Is Not a Test by Courtney Summers (June 19, 2012). Um… It’s awesome. From Goodreads: It’s the end of the world. Six students have taken cover in Cortege High but shelter is little comfort when the dead outside won’t stop pounding on the doors. One bite is all it takes to kill a person and bring them back as a monstrous version of their former self. To Sloane Price, that doesn’t sound so bad. Six months ago, her world collapsed and since then, she’s failed to find a reason to keep going. Now seems like the perfect time to give up. As Sloane eagerly waits for the barricades to fall, she’s forced to witness the apocalypse through the eyes of five people who actually want to live. But as the days crawl by, the motivations for survival change in startling ways and soon the group’s fate is determined less and less by what’s happening outside and more and more by the unpredictable and violent bids for life—and death—inside. When everything is gone, what do you hold on to? And, lastly, I’d love to share a few photos from our trip (I took dozens; this is merely a sampling!). If you use Instagram, you can view all of the photos I posted under the hashtag #CAHereWeCome, or you can check out my Instagrid. Heading out… Can you tell how much my husband appreciates the way I commemorate EVERYTHING with a photograph? My girls and me in front of Haystack Rock, Cannon Beach, OR. 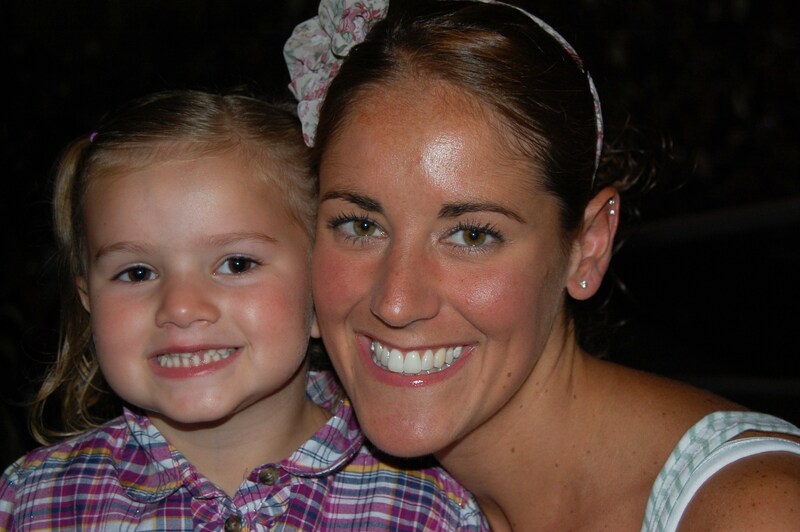 My girlie took this photo… Pretty good for a four-year-old, I think! Ice cream at the Tillamook Cheese Factory… Yummy! And, FINALLY, home sweet home. Tell me: What’s the best road trip you’ve been on? MAY I tell you something about country music? The brainchild of writer/blogger/all-around-awesome-person Sara McClung, Blog Me MAYbe is a weekly blog format for the month of May, an easy schedule to follow with topics built right in. Of course, if posting every day sounds like too much, or if you miss a few days, or only do a couple posts a week, no biggie. Blog Me MAYbe is all about ease and fun! You don’t have to worry about following every blogger who participates or commenting on everyone’s daily posts (though if you want to do that, feel free!). The intent of Blog Me MAYbe isn’t to gain followers — although that could very well happen – but to branch out, make a few new friends, share information, and get into the head space where ideas for blog posts flow freely. Mondays: May I tell you something about writing? This can be anything writing-related. A post on craft. A post on your process. A snippet of your WIP, if you like to share. A book on craft that you want to recommend. Things you struggle with. Things you rock at. ANYTHING at all! Tuesdays: May I tell you something about myself? Pretty self-explanatory… Share something about yourself that your followers might not know. Or, maybe they do. It doesn’t matter–this is just so people who read your blog can get to know you a little better. Wednesdays: May I ask something about you? Ask your followers something about themselves. Thursdays: May I tell you something about someone else? Make this post about someone else. A writing friend. A critique partner. A person from history who’s fascinating. A character from a book. Have a guest poster. Give an interview. Get creative, but let the spotlight shine on someone else! Fridays: May I share something funny? Fridays = The start of the weekend… BOOYA! A reason to celebrate and laugh on its own — plus, who doesn’t want to see something amusing after a long week? Fun, right?! There’s still time to sign up, so head over to Sara’s blog if you’re interested, and feel free to grab our banner or the button below (both made by crazy-talented Tracey Neithercott) to use on your own blog. 1. What are your three favorite songs right now? This Years Love by David Gray, Alone With You by Jake Owen, and Dancin’ Away With My Heart by Lady Antebellum. 5. What was the last concert you went to? Taylor Swift’s Speak Now Tour last fall. It was freaking amazing. I took my daughter, and we had a blast! 6. What was the first album you ever bought? Bon Jovi’s Slippery When Wet (the cassette tape!). My parents bought it for me in the eighties because they’re cool like that. 7. What was the last single you downloaded? Everybody by Ingrid Michaelson… Such a fun song! 9. What’s your favorite musical genre? Country. Obviously. I encourage you to grab this survey, fill in responses of your own, then comment here or tweet me to let me know where I can find your answers! Until then… What’s your all-time favorite song?